Chances are if you are meeting me for the first time it is because you have entered my fitness studio, Lacey Lee Fitness. There is no doubt upon meeting me that you would assume I am living a happy, healthy life. You see a young, fit, upbeat 36-year-old who is always smiling. 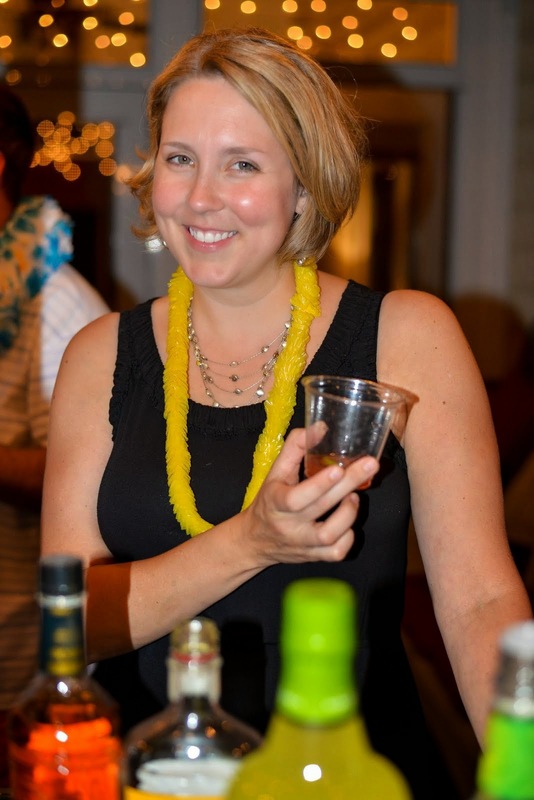 You can tell right away I am passionate about what I do and that I truly love people. Those who know me know that I have also been in a wonderful relationship for over 3 years, and I have amazing support network of parents, family, and friends. However, the reality is, when I’m not working at my fitness studio, I’m at home resting or lying down. I have a disease that is attacking my body from the inside. It is one of many diseases coined an "invisible disease.” It means people look healthy on the outside, but are fighting an illness that can be life threatening. What is this invisible illness? Lyme Disease. Lacey and her best friend, Mea. What you can't see (I have become a master of hiding A LOT) is my battle with Lyme Disease consists of chronic pain all through my body, chronic fatigue, headaches, anxiety, insomnia, memory/brain problems, and emotions all over the place. I have lost control over my body. I don't know how I will feel from one day to the next, sometimes hour to hour. Like many people, you may have heard the term "Lyme Disease," but know nothing about it. I knew it came from a tick but that was it. Boy was I in for a wild ride when I was told by my doctor, "You have Chronic Lyme Disease and you NEED to become an expert in this disease." She said judging by my blood work I have had it for a long time. I remember being bitten by ticks as a kid, but I was never sick. I never had the telltale signs, typically a bulls-eye rash, accompanied by a high fever/sickness. I quickly learned why she said to become an expert: Lyme Disease is a nasty, controversial disease. Lyme Disease is caused by a bactirium called a spirochete identified as Borrelia Burgdorferi. It rapidly spreads throughout the body after the initial tick bite, producing different symptoms at different times. People can have Lyme Disease and never show any symptoms. It is classified as either Acute or Chronic Lyme depending on the duration of time that has passed since the initial infection. Lyme Disease is called "The Great Imitator" as it mimic over 300 different diseases such as Chronic Fatigue Syndrome, ALS, Alzheimer's, Hypothyrodism, and Parkinson's. Common symptoms are: depression, fatigue, brain fog/memory loss, anxiety, panic, and insomnia. I had many of these symptoms over the years, but I always had a “reason” to feel the way I was feeling. For the first few days after my diagnosis, all I could do was research, talk to people who I knew had it/still suffer from it, and also friends in the medical field. It was overwhelming to learn what a struggle so many people were going through. What was worse to learn was many Doctors were not getting to the real problem. Many people bounced from doctor to doctor trying to figure out what was wrong, get misdiagnosed, and spend tens of thousands of dollars only to become sicker. I refused to be one of these people. I have always prided myself on my strong immune system. In fact it was not until college that I had anything really go "wrong" with my body. I played tennis for Old Dominion University and through repetitive twisting and torquing, I ended up fracturing my spine. It took years for doctors to figure out the problem, as I did not respond to treatments/procedures to heal my back. This wasn’t a red flag to me or my doctors since I was a young, hard-headed athlete that did not want to stop playing tennis. They eventually forced me to stop playing and I was put in a body cast for 4 months. This seemed to do the trick. Sadly, my tennis career was over, but my spine eventually healed. Over the years I had off and on back pain, which I sought out chiropractic care for treatment. I was always a mystery to my chiropractor since my adjustments never seemed to hold. I also developed hip pain, but it turned out to be bursitis. Years later I was hit with a debilitating headache that I had never experienced before. The chiropractor said it was coming from my neck but I never saw improvements. Even a neurologist could not find anything wrong. I tried massage therapy and acupuncture to no avail. I learned to deal with the headaches and to this day it is just a part of my everyday life. I then started having ribs in my upper back sublux (which means they dislocate/come out). This, too, was debilitating and another mystery to my chiropractor. But it still wasn’t a red flag as I worked in the fitness industry, and moved more than the average person. There were long periods that were pain-free. I knew I had a bad back and this would be something I just had to keep under control and maintain. During this time I also I suffered from panic attacks, depression, nightmares, and anxiety. I had developed Post Traumatic Stress Disorder (PTSD) from the death of my brother when I was younger, and a stalker that consumed my life for 12+ years. I always felt like the wires in my brain needed to be re-wired because on paper my life sounded great, but nothing was clicking. In 2013, I re-injured my back. I went to a Physiatrists. I was sent to physical therapy. A month later I went to my primary care for my annual blood work. I was shocked to learn I had hypothyroidism. This was not a red flag as thyroid issues run in my family. 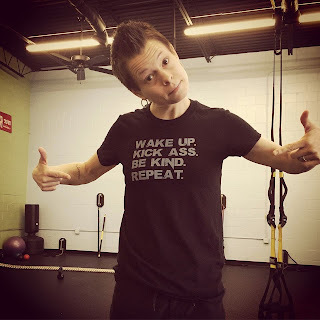 After 6+ months of physical therapy and being on thyroid medicine, I was feeling MUCH better. Then for no reason my back started to feel worse. I got an MRI, which showed I had two herniated discs. As my back worsened to a point of not being able to walk, my fatigue was also getting worse. I started having insomnia. I adjusted how I ran my business in order to protect my back, and was doing the bare minimum as I was in chronic pain, and wasn’t able to sit or walk for long. Over the next 8 months I had 4 epidurals, 2 months in a back brace, hypnotherapy, acupuncture, massage, facet injections, and basically lived my life horizontally and on ice. The doctors (I started seeking 2nd and 3rd opinions) all said my herniations were not "screaming surgery" and could not figure out why I was not healing. I went in for another procedure for my back, and told myself that if this didn't work, surgery was the next step. This is where my doctor saved my life. She believed I was in the pain I was in, but she knew something wasn’t adding up. She issued a test for Lyme Disease, which I thought was silly, but I was willing to do anything to help my situation. I learned I had Lyme Disease in February 2015, but now that I look back and can truly say that the Lyme symptoms started when I first hurt my back in 2013. I started my Lyme Disease quest like many people do - I went to an Infectious Disease specialist. Since I had already done a lot of research by this point I was prepared to be told I did not have Lyme. Sure enough - that is exactly what I was told. The Specialist barely looked at my results from the Lyme testing and said I had chronic fatigue syndrome/fibromyalgia. I disregarded her diagnosis and found two people that offered services I was looking for. One looked at my blood through a microscope and was able to identify the Lyme bacterium in my blood. The other offered a homeopathic approach. I was 100% convinced I had Lyme Disease along with two co-infections (Babesia and Baronella) when I saw it with my own eyes from my first appointment with the "blood nutritionist" as we call her. Between the two specialists I have been on the homeopathic protocol, supplements, and herbs since April. Although I am still struggling with chronic pain, fatigue, insomnia, and some other symptoms, I am hopeful that I am on my way to better health. Unfortunately there is no timeline as to "when" I will be better. I'm a firm believer that as long as I am doing something about it - I WILL get better - and that is all that matters to me. So, in taking on this challenge, I decided that instead of sucking on a lime, I'd tackle making my very first Key Lime Pie. 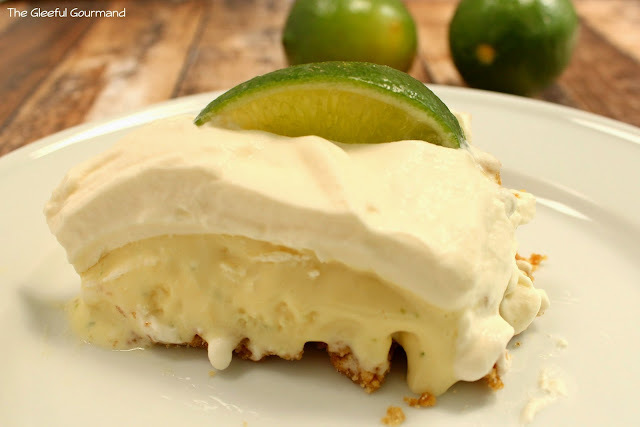 It may have been fate that I had recently caught an old show of Ina Garten's where she makes this Frozen Key Lime Pie, because it looked so fantastic. I've always loved Key Lime Pie, and this one sounded unique, fun, and oh-so-refreshing. Here's a couple of things about it: 1) It is delicious, I can vouch for that 2) It's not really "Key Lime" because we don't typically get those here in Virginia. So if you're feeling persnickety about it, just call it "Lime Pie." 3) In her recipe she doesn't specify to grease the pie plate before putting in the graham cracker crust. Do it. Grease the pan with some baking spray, because otherwise it sticks fast in the freezer. 4) It is frozen, but it melts almost as soon as you slice it and plate it. You've been forewarned. To get the recipe, please click here. 1) Take a photo of yourself biting a lime. 2) Share 1 fact about Lyme Disease. If we raise our voices, we can be heard, and this debilitating disease can start to be taken seriously. I hope you'll join us! 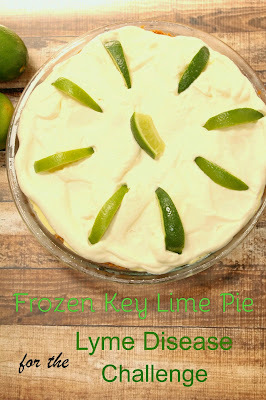 Frozen Key Lime Pie for the Lyme Disease Challenge! Wow! 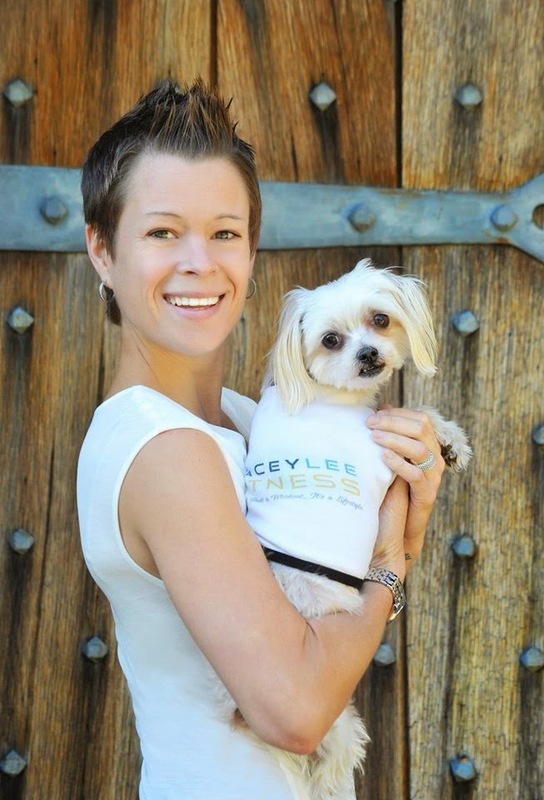 Thanks so much, Lacey, for sharing your story! And to you, Jenna, for raising awareness! So huge and important to know this and be more aware. It reminds me to be thankful that I am living without chronic pain. Also? The pie looks amazing!!! Thanks so much for reading, and for sharing, Kiki! Hopefully even more people will be inspired take the Lyme Disease Challenge to raise awareness!